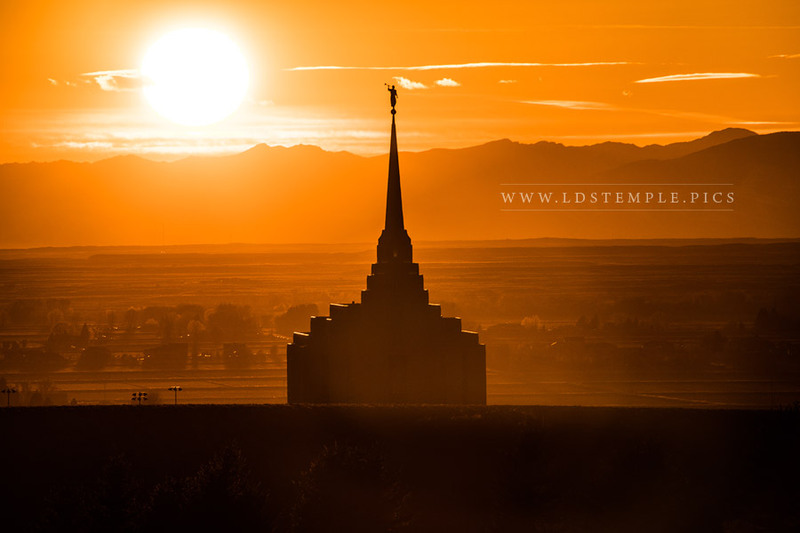 The Rexburg Idaho Temple is a striking landmark in the area, visible for miles along the Highway 20 corridor. 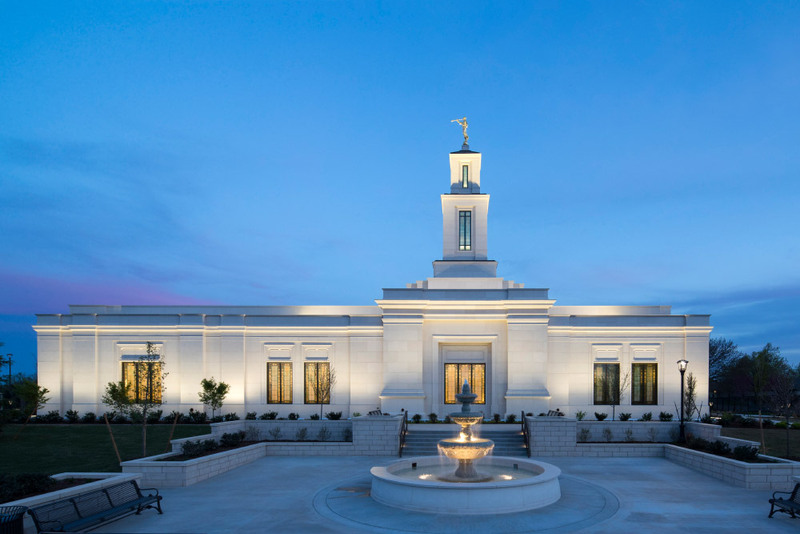 Rising five stories above its hillside location, it sits adjacent to the BYU–Idaho campus. 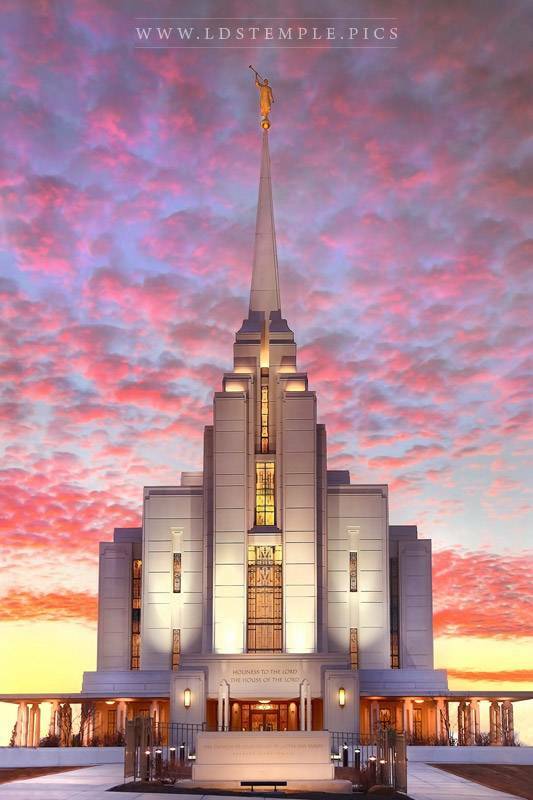 It is the finest, most notable building in the rural community of Rexburg. 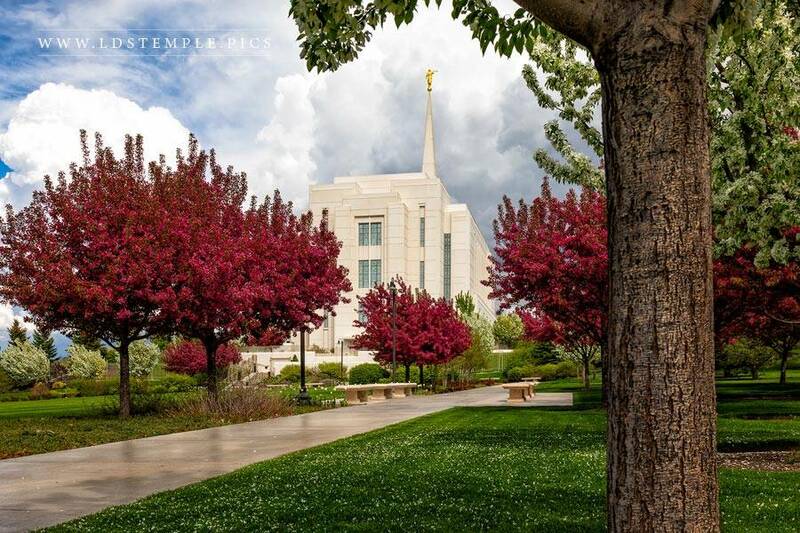 To the west of the temple is a beautiful garden area open to the public for moments of reflection and quiet strolls. 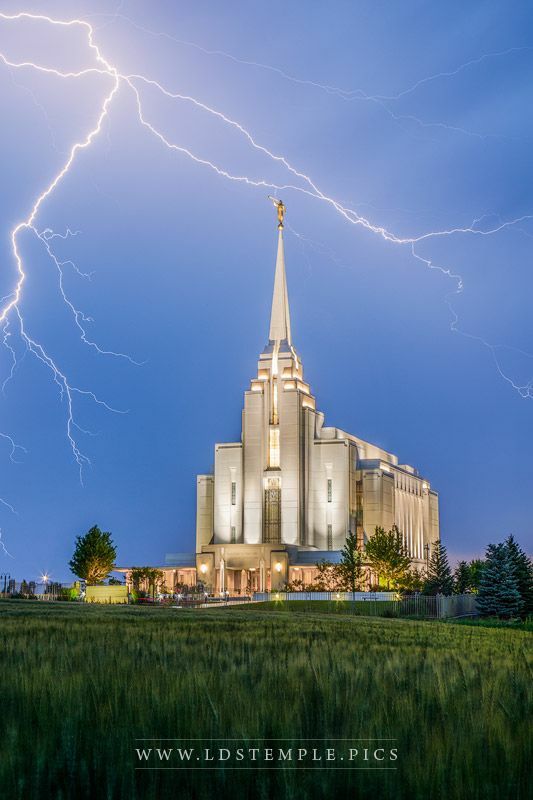 A wheat motif, created by Utah artist Tom Holdman, is used throughout the Rexburg Idaho Temple, including most of the 700 art-glass windowpanes. 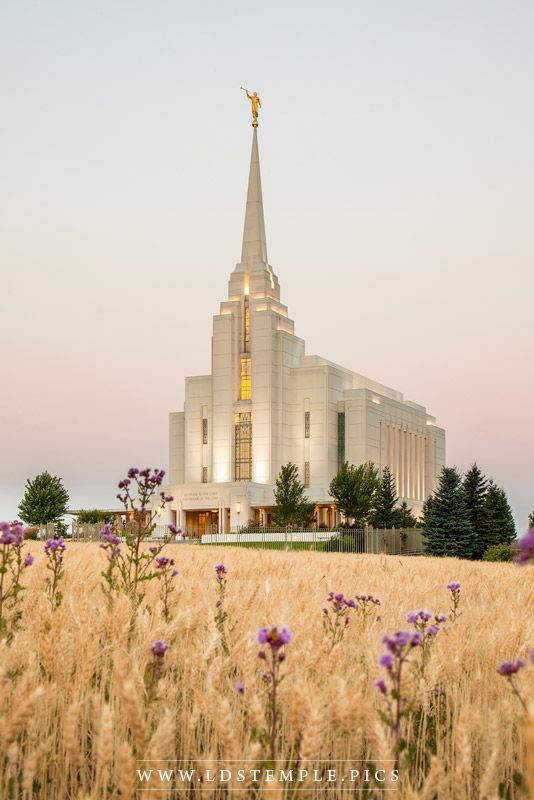 The wheat stalk symbolizes the widespread agricultural industry in the area. 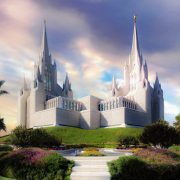 The visible interior of the temple is made with the finest materials, including wood imported from Africa and stone and tile from Israel. 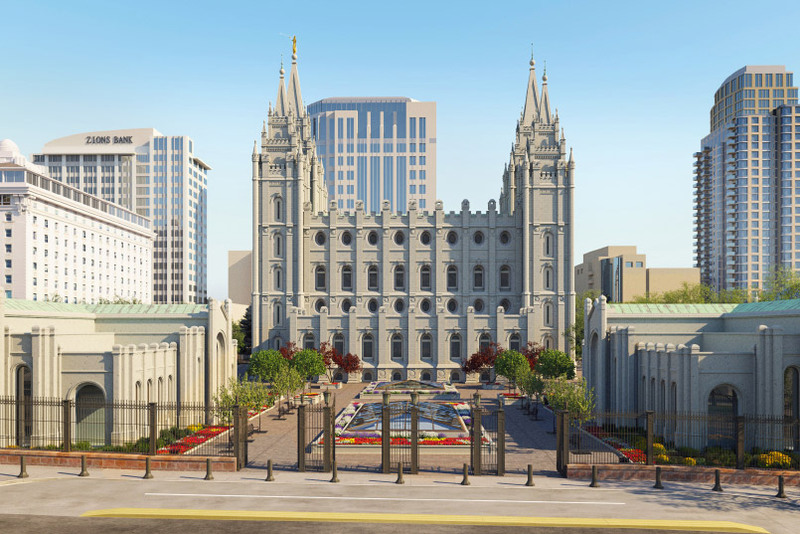 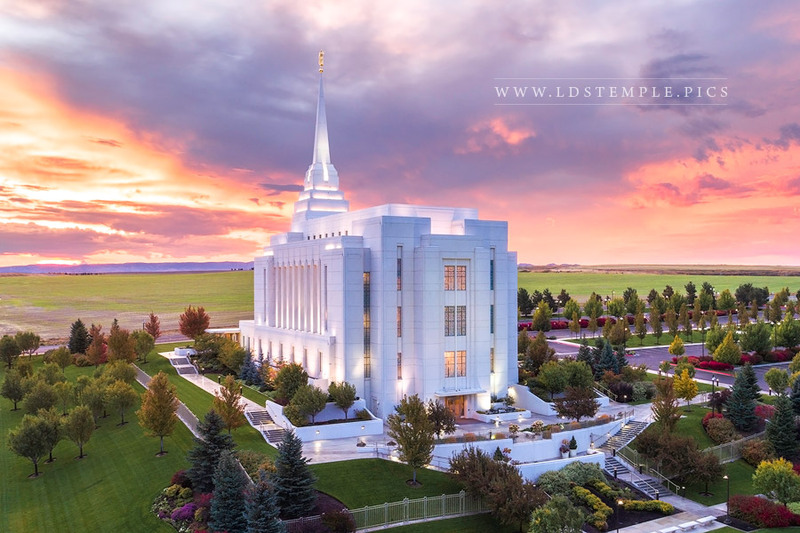 The exterior walls of the temple are made of 637 precast panels from 45 different molds, including the retaining wall. 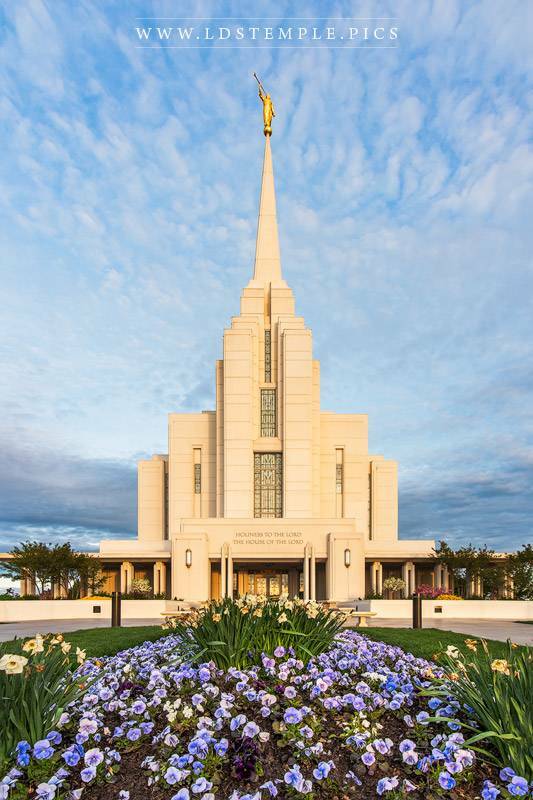 The material is called China White—a white quartz finish (mined in Washington state) on concrete panels. 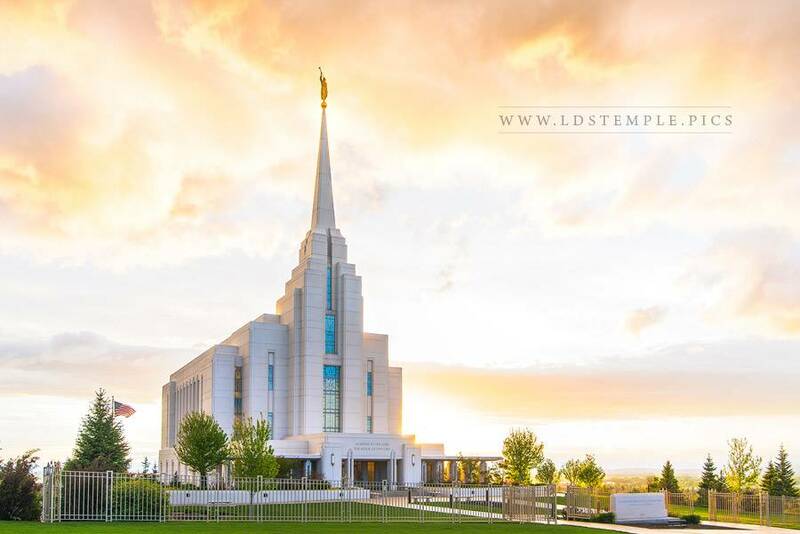 A water-proofing compound allows dust to wash off in the rain, keeping the temple a radiant white. 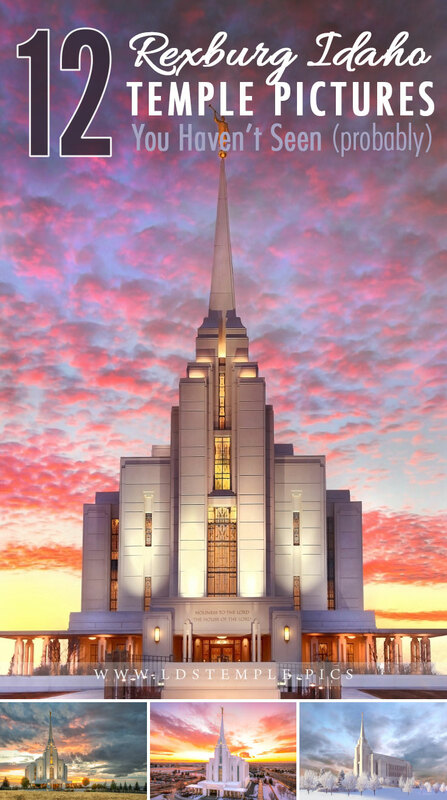 The Rexburg Temple was the 125th temple built in the world and the third in Idaho. 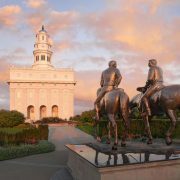 It was dedicated on February 10, 2008 by Thomas S. Monson. 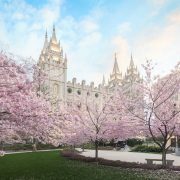 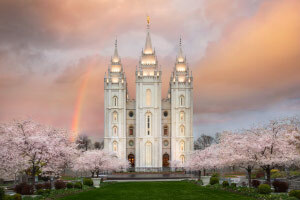 The announcement of the Rexburg Temple came three and a half years after the announcement that two-year Ricks College would become four-year Brigham Young University–Idaho. 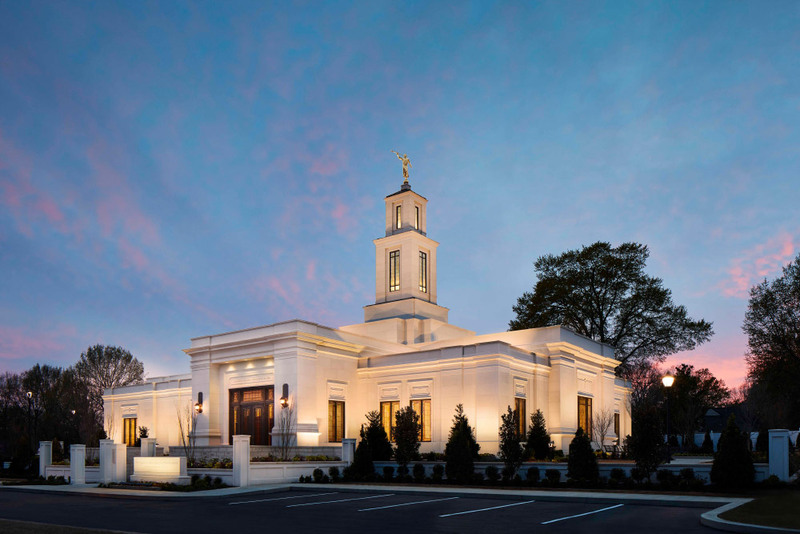 Interest in the open house was so high that additional early-morning and evening tours were added to each day. 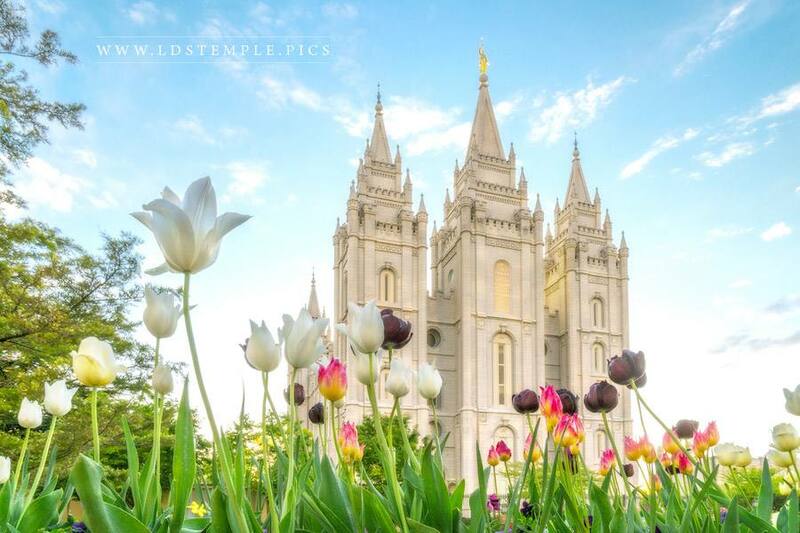 Over 200,000 visitors toured the temple. 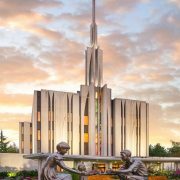 The dedication was delayed one week due to the passing of President Gordon B. Hinckley on Sunday evening, January 27, 2008. 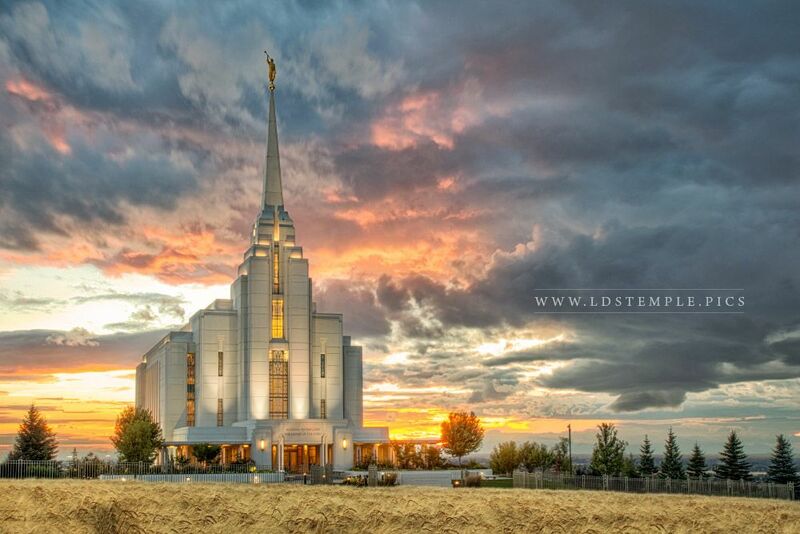 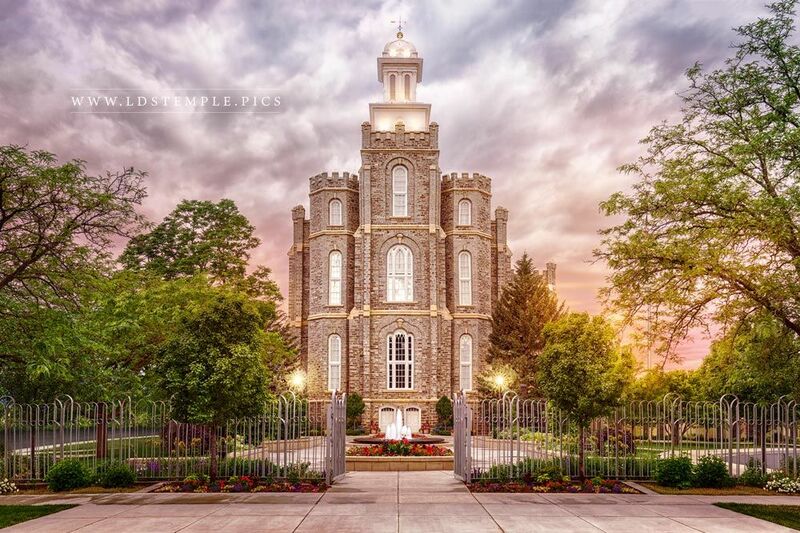 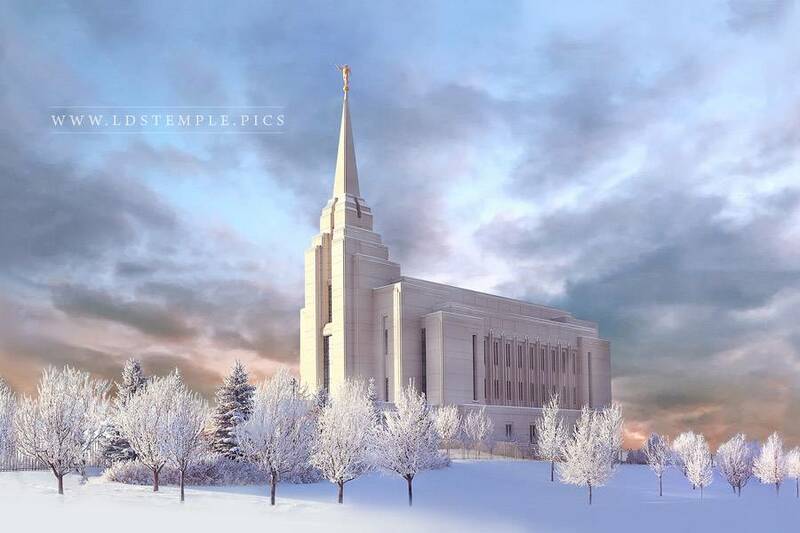 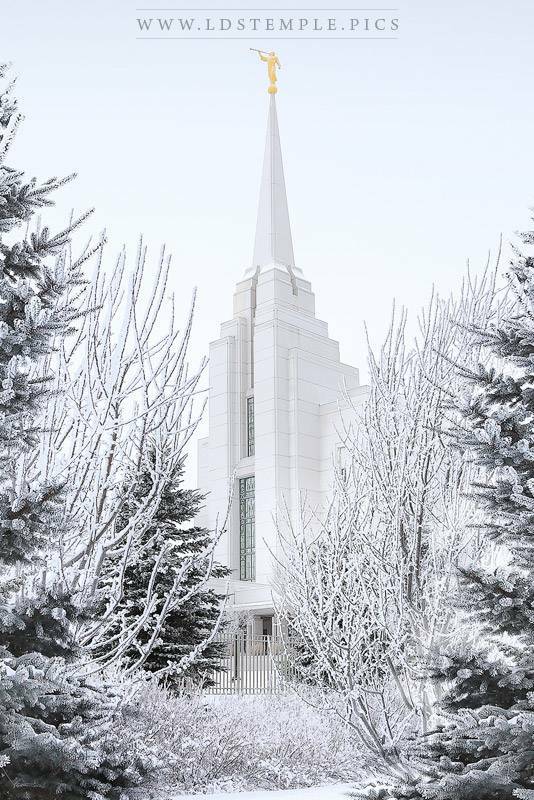 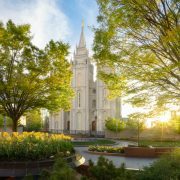 All of these beautiful Rexburg Temple pictures and painting are available for sale. 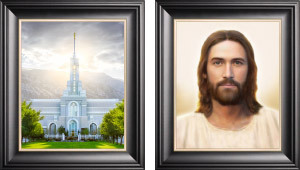 You can find photo prints, canvas wraps, and framed photos in a large variety of sizes. 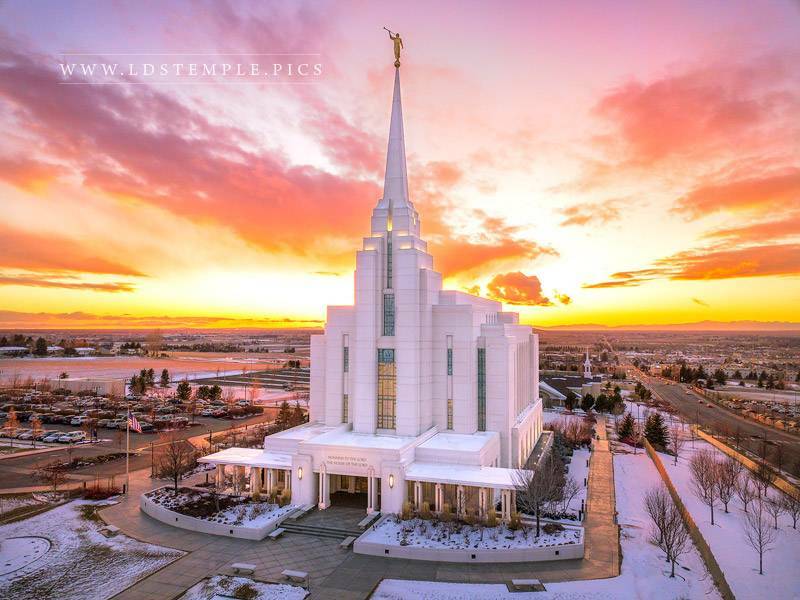 If one of these above pictures caught your eye, just click on it!